Home relationship Is polygamy really bad? Hi! 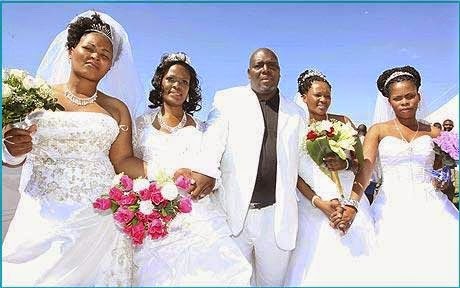 The issue of polygamy, that arrangement that allows a man marry more than one wife, needs no introduction especially in our part of the world. Though this practice seems no longer fashionable, due largely to cultural and religious shift, factors against it have not been overwhelming enough to cause a radical and total change of general perception. loversMany who wield the Bible (famously quoted as anti-polygamy) in one hand, step on the pulpit to castigate and condemn so-called adulterers, have hardly been doing so with clean hands. Many of them cannot but take a second and third look, rather than pluck out the offending eye, or cut off the offending arm or “third leg” that will cause them to “sin”. The story of Bisola and Akin resonated the debate on this topic sometime ago on this page. Bisola, after several years of struggling with the fact that her husband was not faithful to their vows finally discovered the evidence right inside her home. Akin was in fact, raising another family besides the one they have together. Threatening thunder and brimstone, Bisola has been throwing all sorts of tantrums known with women. Should she sacrifice her home at the altar of her ego? If a wife can share her husband with his numerous girlfriends in silence, why should she raise dust or feel threatened if he takes another wife? Are girlfriends less dangerous than wives? Can someone out there just sincerely tell me what our headache really is about polygamy, besides religion? I will be glad to know and educate other Nigerians with your contributions. Remember that this issue is a contemporary one, so there is no time limit.